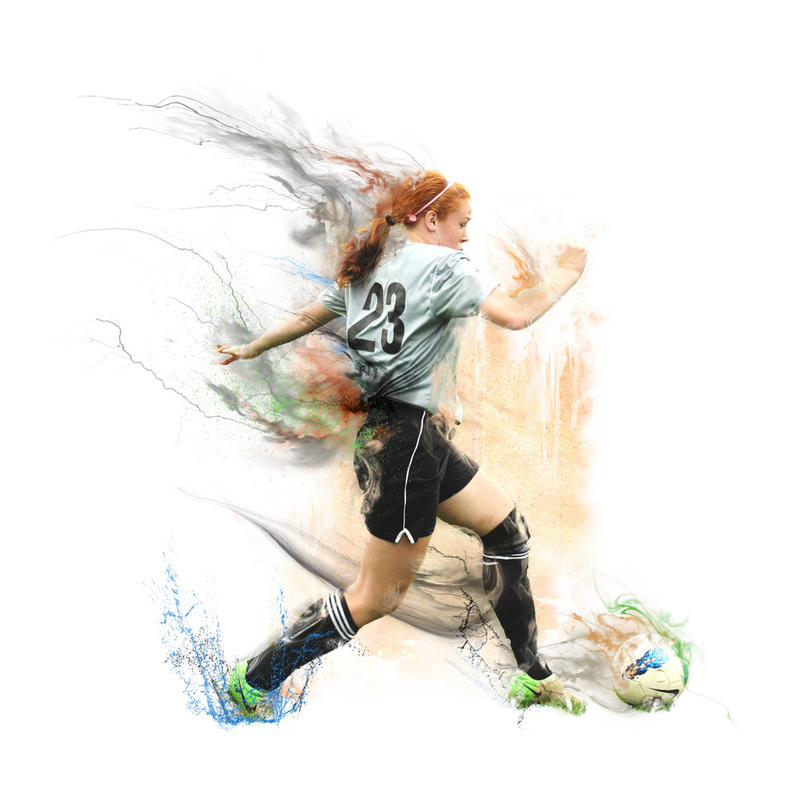 TURN YOUR ORDINARY ACTION PHOTO INTO A WORK OF ART. You choose the photo and I transform it into a one-of-a-kind piece of art that will grace your walls for years. 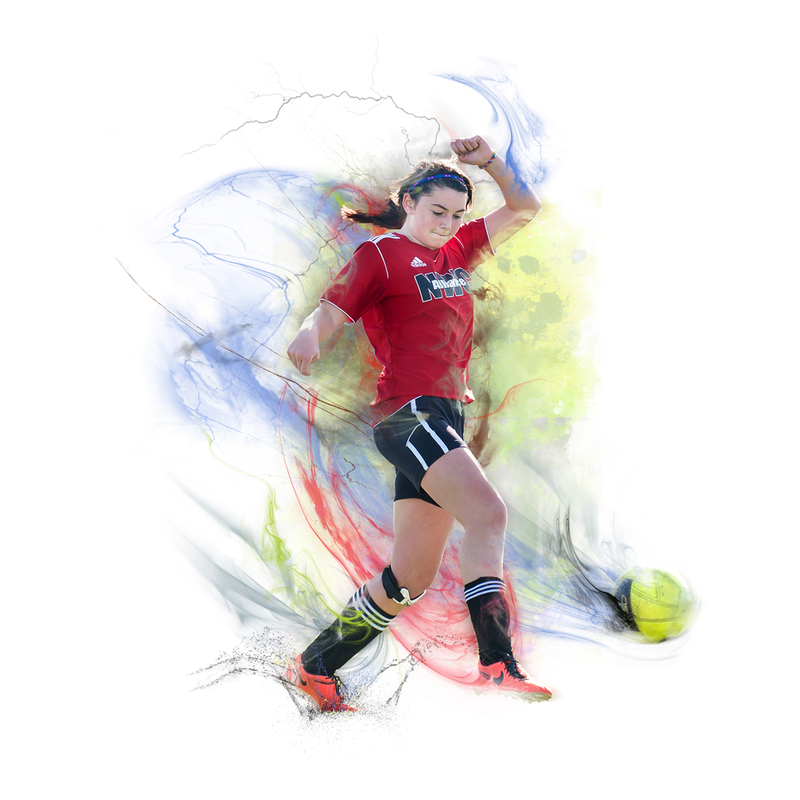 Each creations places the focus on the athlete by use of eye catching colors and artistic flair. These custom portraits are then printed on 100% cotton rag art paper, matted and framed. TIPS FOR CHOOSING THE BEST PHOTOGRAPH. 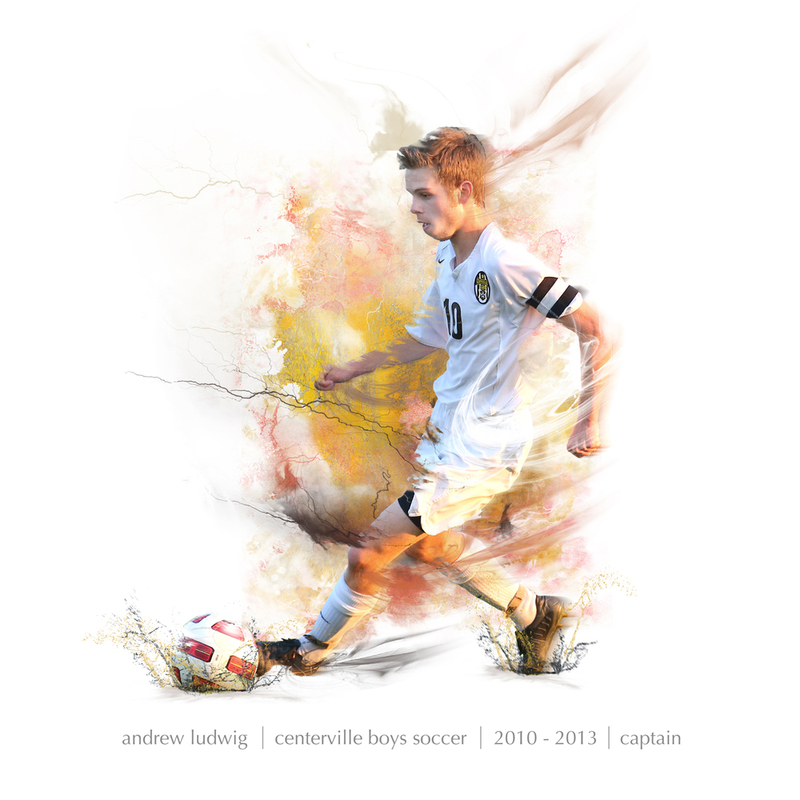 Most importantly, chose a digital image that shows action. Make sure that the athletes's face is visible. Include the entire body of the athlete, making sure that the majority is not obstructed by another player. The photo must not be blurry or grainy. The photo must not infringe upon another artist's copyright. The digital file of the photo must be high-resolution and of printable quality. The team logo and player number is visible. Sport equipment such as ball, bats, sticks, etc, are visible. 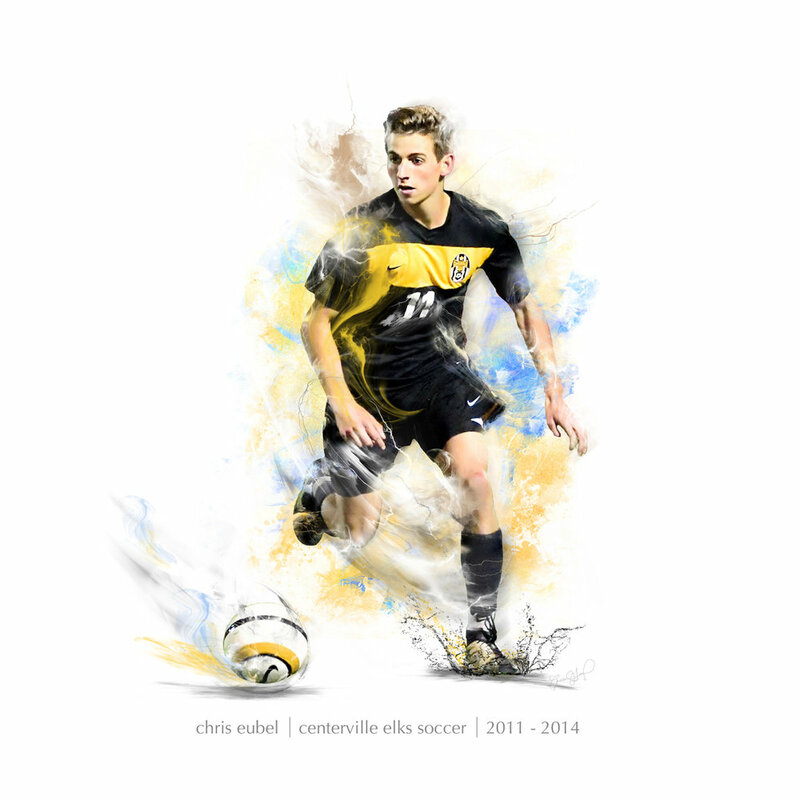 "Portraits In Motion" can be personalized with the athlete's name, number, position, club or school name. For additional information and pricing please contact me through the"contact tab" above.